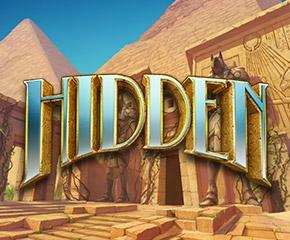 Hidden slots take you to the land of the Egyptian pharaohs where you unearth some lost treasures from the pyramid. Developed by ELK Studios, it comes with excellent graphics that make it a touch above than the other games in this genre. The main characters in the slot are Professor Taylor and Benjamin. They go on a quest for the golden top stones. At each level of the slot, you get to see some great graphics and adding to it there is a wonderful soundtrack which keeps buzzing in the background. Hidden slots consist of 5 reels and offer around 178 ways to win. This makes it a slot that has a high return to player percentage. The symbols with low value include letters, such as A, K, Q, J along with 10 playing cards. The ones with high value have Egyptian connotations like camels and Sphinxes. The wild symbol in the slot is the magnifying glass. The wild symbol acts as the substitute for all the other symbols but the scatter. However, if you get the wild and the scatter symbols, you can activate bonus features and add to your rewards. The slot can be played from 20p a spin. Like your desktop, you can also play this slot on your mobile devices like smartphones and tablets. A unique aspect of this slot is that it offers a maximum payout of around 2150 times on the money that you place in each spin. However, to get this payout, you have to be good in the gameplay and devise good strategies. As a newcomer, it is always better that you opt for smaller bets as the risk of losing gets reduced. 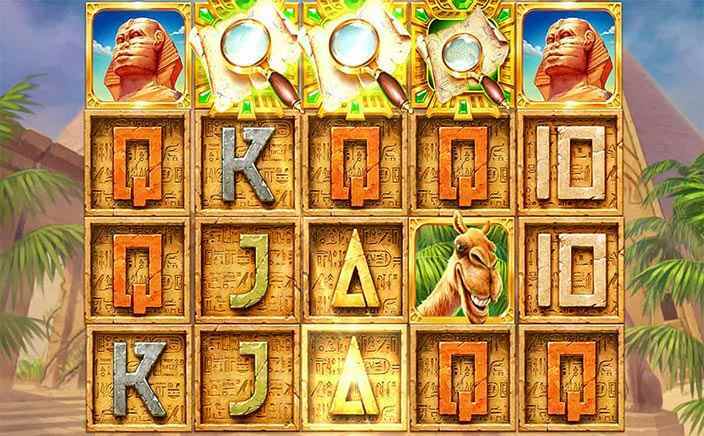 Hidden slots is also known for its bonus features. The Flashback Respins feature is activated on a random basis and offers you 3 free respin that can go up to 3 sticky wild reels. In addition, there is also the Treasure Room Free Spins that enables you to get 5 respin and one expanding symbol. You can bag this bonus if you land 3 or more scatter symbols anywhere on the reels. Overall, the slot offers a decent gameplay to attract players with varying tastes to at least try this slot once.